Find trustworthy and informative community banking articles on financial and cybersecurity news and tips. Serving on a board of directors gets your name out in the public. You’ll likely be included on the organization’s website, in its publications, and other materials. You’ll have the opportunity to be a resource for articles, make presentations, serve on panels at conferences and be quoted in press releases. You can also put your board service on your business profile or bio. In addition to your fellow board members, you’ll network with staff, customers, and shareholders of the organization who can serve as a resource for you and may introduce you to their peers and associates. “Board service provides a unique opportunity to work in a collaborative way with other highly accomplished individuals from a diverse background and with unique talents,” says RBAZ Chairman Alan Sparks. Learn more about Republic Bank of Arizona’s distinguished Board Members here. Some can’t wait for the day they can sell the business and retire to Hawaii. Others can’t imagine not going to work every day and see a bleak road ahead. Most business owners are probably somewhere in the middle. But wherever you land on the spectrum, do yourself a favor and start planning well in advance so however and whenever you exit, it can be done your way. How will you get consensus from key players in your company? How will you incent staff to continue after you leave? How will you make yourself expendable so the company can continue to run after you leave? How will you solidify customer relationships as you work through the process? Strategic buyers – Those who know your industry and may want to integrate your services with those they already offer. This could include a competitor, supplier, family member, or even your employees. Strategic buyers will typically pay more for your business. Financial Buyers and Private Equity – Those looking to invest in successful companies. Lieberman suggests working with a third party to source buyers for your company when the time is right. According to a USB Investor Watch Report, most business owners don’t have a full understanding of what takes place in selling a business, and how long that can take. So be good to yourself and your employees. Plan early with different exit strategies in mind. This will give you the flexibility you need to get the most out of your business, whether you sell it, pass it on to your family, or have someone else manage it for you. Every business owner can use a little practical insight now and then. That’s why Republic Bank of Arizona is pleased to launch a new series of informational events throughout 2019. Our new Shop Talks will address specific topics our business clients have identified as pain points they encounter while running their businesses. Those attending will get hands-on information from experts and leave the one-hour morning discussions with resources and tips they can implement immediately. The first Shop Talk event will focus on tackling your HR challenges. Presenter Noemi Barraza from CBR will provide resources and information about how and where to post jobs, creating an employee handbook, ways to attract and retain talent in our current environment of low unemployment, and more valuable and actionable tips. Time: 7:30 – 8:30 a.m.
1. Who will be my point of contact? Will they be available? It is essential to have an advocate at your bank, someone you can meet with regularly, at your office and at the bank, who has the depth and breadth of experience to understand your industry and is willing to commit the time to you and your needs. The relationship should not stop there. Can/ will your banker connect you with the local business circle, which in turn opens leads to customers and other professional services? 2. What is the lending process? Make sure that the initial stage of the process includes the opportunity for you to sit down with your banker to discuss why you believe you need financing and be ready to identify the stages of your operations, such as when cash flows in and when it is paid out, your growth plans, or equipment purchase plans. Your banker should be able to propose options for your specific need, rather than a one-size-fits-all solution. Is your company’s size and/or the amount of your loan request within the typical range for the Bank, or will it be an extraordinary request? You will want to know if the approval decisions are made locally, and what is the anticipated timeline from application to approval. 3. Is the bank’s financial condition strong and stable? Of course, you will want to know if the bank is FDIC-insured. That should be a given. But, how well-capitalized is it? You can certainly ask, and should receive a direct answer. That information is also available to the public via Call Reports that are filed quarterly. The level of non-current loans as a percentage of total loans can also be a key indicator. You will want this to be a very low number. There are also industry ratings available, such as the Bauer’s 5-star rating system, which takes a number of these factors into account prior to assigning a rating. In this case, the higher number the better. In the end, open communication is key to a successful banking relationship. You should feel comfortable and confident asking any question that is important to you, to know you have found the right fit for your banking needs! What Makes a "Good Banker"? You entrust us with your information, funds and future growth. How do we build a team that is not only deserving of that trust, but can also confidently advise and support you in achieving your business goals? Banking professionals deal with numerous responsibilities and regulatory compliance in a highly competitive industry. Their mission is your success, the Bank’s success and their own professional success and advancement. With so much on the line, a banker needs to embody a broad range of qualities. Team building is a challenge across all industries, and banking is truly a collaborative effort. Strong team players set high expectations for their own work, and are not afraid to seek help from others. Great team players recognize the gratification that collaboration brings, committing to the collective effort. When an organization finds a core team of people with these capabilities, there are few limits to what can be accomplished. With these attributes in mind, we are continuing to build and enhance our RBAZ team of bankers to support your success, our success and our community. Is Equity Financing Right for You? Equity financing provided by an angel investor or venture capital fund (think "Shark Tank") carries no scheduled monthly payments, and provides extra working capital that can be used to grow and market your business. An advantage is that the investor takes the risk – if your company fails, there is no obligation to repay. However, to offset that risk, you will be granting your potential investor an ownership interest in your company, and a voice in the decision-making process. Profits will be shared, and, should you want to disengage, buying out an investor can be expensive, typically costing a great deal more than the original investment. Equity financing is a mixed bag of benefit and cost. If you choose the right investor, they could provide expertise in running the company, establish business connections and offer valuable advice; however, the loss of control over the operation, the duty to inform investors of significant events, and sharing business profits can prove costly in the long run. Remember, the equity you have in your company is not only your initial investment, but also includes retained earnings from profitable years of operations. You could potentially create additional equity and free up funds for growth internally, through expense reduction and by minimizing the level of owner distributions to simply cover the income tax obligation. That level of discipline could quickly bolster the capitalization of your company, providing the foundation for growth, either type of financing, and ultimately reward you many times over! Effective May 11, 2018, new rules under the Bank Secrecy Act will aid the government in the fight against crimes to evade financial measures designed to combat terrorism and other national security threats. One individual that has significant managerial control, of the Legal Entity. If you are opening an account on behalf of a Legal Entity, you will be required to provide the appropriate documentation and to certify that this information is true and accurate to the best of your knowledge. 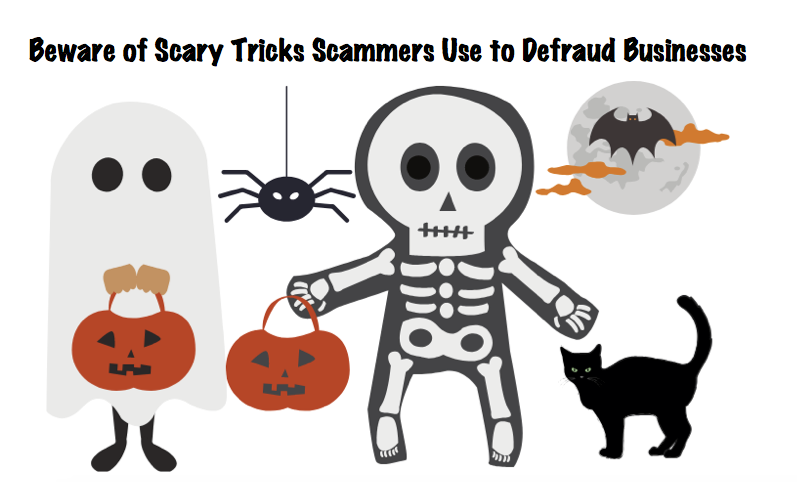 It can be scary stuff when fraudsters target your business to bilk you out of money. According to the Better Business Bureau and FBI, it’s happening more and more often. Tech support alerts . Scammers pretend to be from a well-known company. They may ask the employee to pay them to fix a problem they don’t really have or enroll the business in a non-existent or useless computer maintenance program. Threats from a government agency. Fake government agents call threatening to suspend your business licenses, impose fines, or take legal action if your business doesn’t pay taxes, renew government licenses, or pay other fees. Some trick businesses into buying workplace compliance posters that are available for free. Make- believe directory listing. This scam fools businesses into paying for advertising or a listing in a non-existent directory one offering little value. Fake checks . You may be asked to deposit check and wire some of the money to a third-party because of an overpayment of some kind. Once it’s discovered the check is fake, the scammer already has your money. Need for account information. While this is an old one, it’s still used today. Someone impersonating your bank or credit card company calls or emails to “verify account information” to trick you to share your credit card or banking information. As a business manager or owner, it’s a good idea to keep employees informed about the latest scams targeting businesses, and have a clear policy in place on how to handle a situation if something seems suspicious. For more resources, check the Federal Trade Commission’s website. Traditionally only a few of your devices at home could connect to the Internet, such as your laptop, smartphone, or gaming console. However today, more and more devices are connecting to the Internet, from your lightbulbs and speakers to your TV, locks on your door or even your car. Soon, almost every device in your house could be connected to the Internet. These connected devices often go by the name of Internet of Things (IoT) or Smart Home devices. While these connected devices bring a great deal of convenience, they also bring unique dangers. The more devices that are connected to your home’s network, the more can go wrong. Hackers can program your devices to attack others, vendors can collect extensive information on your activities, or your devices could become infected and lock you out. Many of the companies making these devices have no experience with cyber security and see security as a cost. As a result, many of the devices you purchase have little or no security built into them. For example, some devices have default passwords that are well known or you cannot update or configure them. So what can you do? We definitely want you to leverage connected devices, safely and securely. These devices can provide wonderful features that make your life simpler. In addition, as the technology grows you may have no choice but to use smart devices. Here are key steps you can take to protect yourself. Connect Only What You Need: The simplest way to secure a device is to not connect it to the Internet. If you don’t need your device to be online, don’t connect it to your Wi-Fi network. Do you really need your toaster sending you notifications to your phone? Know What You Have Connected: What devices you do have connected to your home network? Not sure or can’t remember? Turn off your wireless network and see what is no longer working. It may not catch everything but you’ll be surprised at how many devices you forgot. Keep Updated: Just like your computer and mobile devices, it’s critical to keep any and all of your devices up to date. If your device has the option to automatically update, enable that. Passwords: Change the passwords on your devices to a unique, strong passphrase only you know. You will most likely only have to enter them once. Can’t remember all your passphrases? Don’t worry, neither can we. Consider using a password manager to securely store all of them. Privacy Options: If your device allows you to configure privacy options, limit the amount of information it collects or shares. One option is to simply disable any information sharing capabilities. Vendor: Buy your devices from a company that you know and trust. Look for products that support security, such as allowing you to enable automatic updating, change the default password and modify privacy settings. Always Listening: If a device can take your voice commands it is constantly listening. For example, your Alexa and Google Home devices can record sensitive conversations. Consider that when you determine where to place the devices in your home and review the privacy options. Guest Network: Consider putting your Smart Home devices on a separate “Guest” WiFi network rather than the primary WiFi network you use for your computers and mobile devices. This way if any Smart Device is infected, your computers or mobile devices on your main network remain safe. There is no reason to be afraid of new technologies but do understand the risk they pose. By taking these few simple steps you can help create a far more secure Smart Home.